When Theo Griepenkerl happens upon the fifth Gospel in a war-torn Iraqi museum, he can’t believe his luck. Driven by greed and a lust for fame, he capitalises on his find by publishing it. His book is a sensation. But he can hardly imagine the incendiary consequences his discovery will have for Christians, Arabs, homicidal maniacs and Amazon customers alike. The Fire Gospel is a brilliant piece of storytelling, dazzlingly outrageous and utterly gripping. 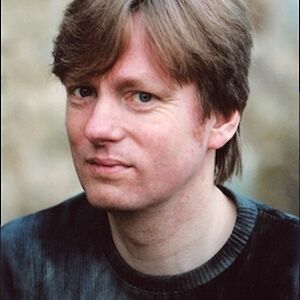 MICHEL FABER is the internationally bestselling author of the highly acclaimed The Crimson Petal and the White, The Book of Strange New Things, the Whitbread-shortlisted Under the Skin and many other books. He has won several short-story awards, including the Neil Gunn, Ian St James and Macallan. Born in Holland, brought up in Australia, he now lives in the UK.